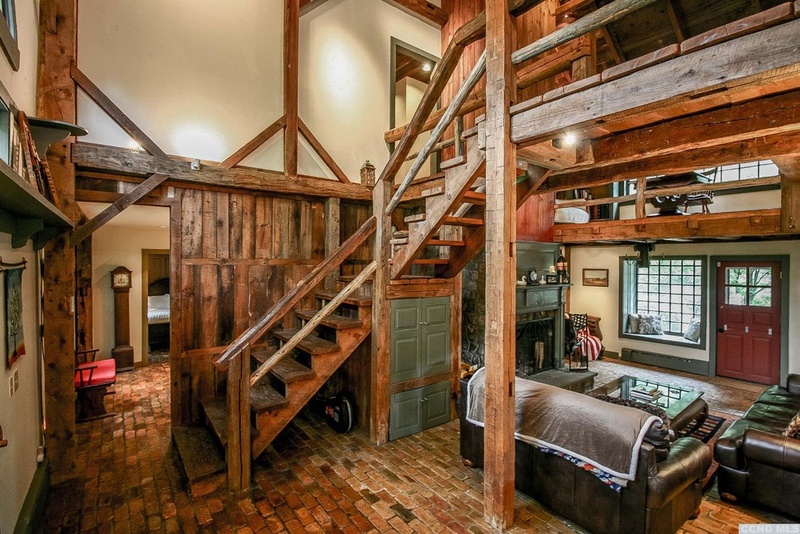 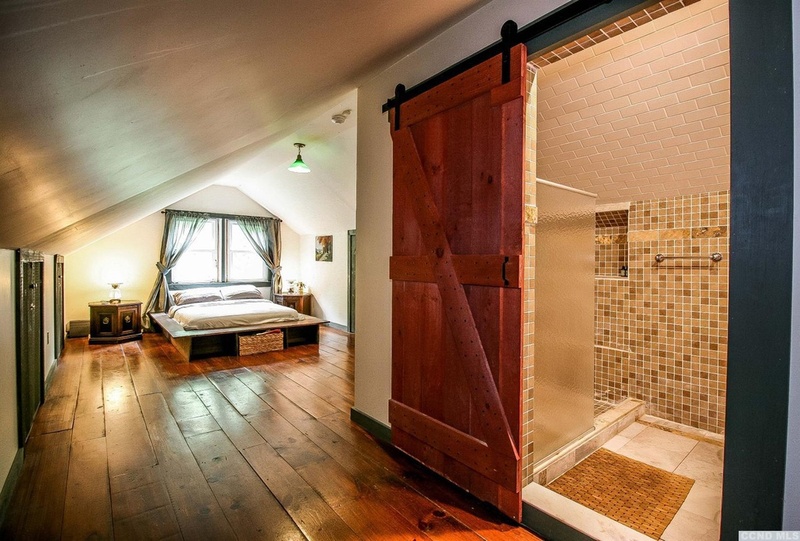 …because that’s exactly what happened with this Columbia County vintage barn. 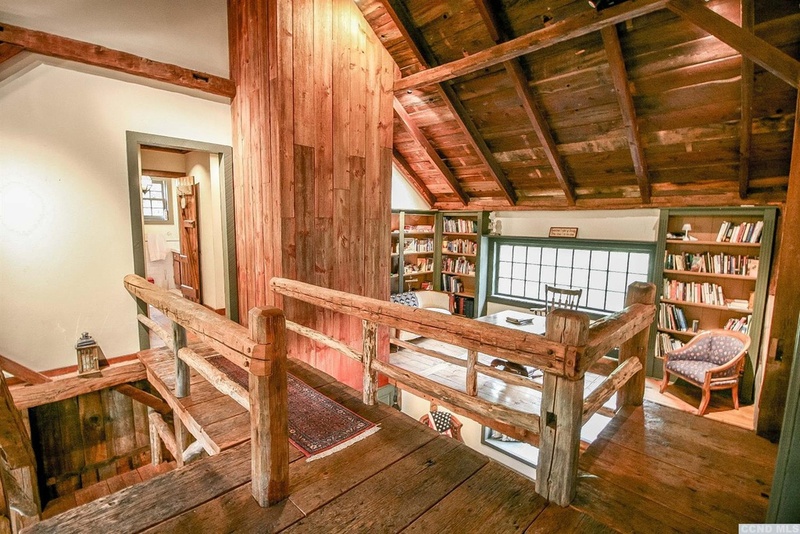 According to the listing, in 1998, an artist/architect took down this barn one post at a time, even numbering each individual beam, board, and peg, and rebuilt it on 11.21 acres of land. 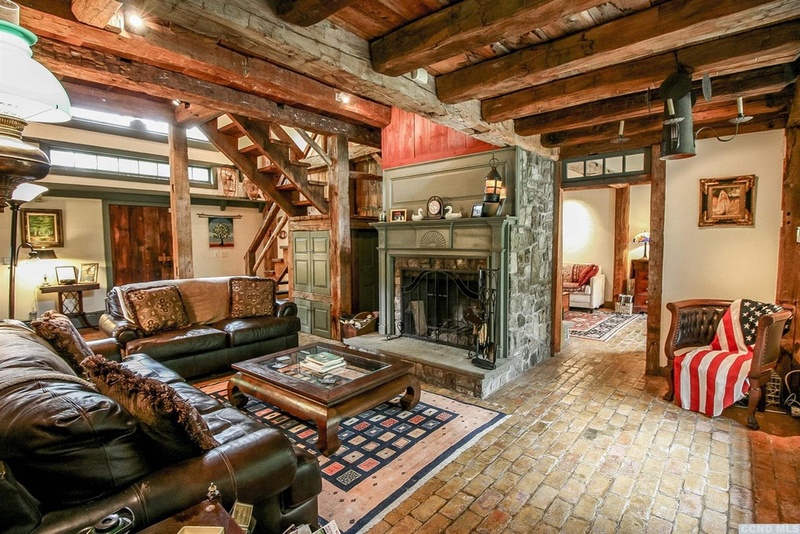 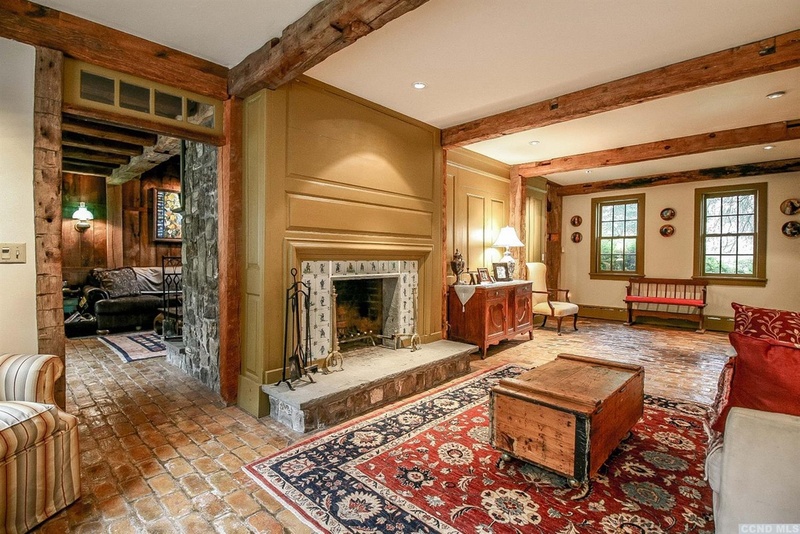 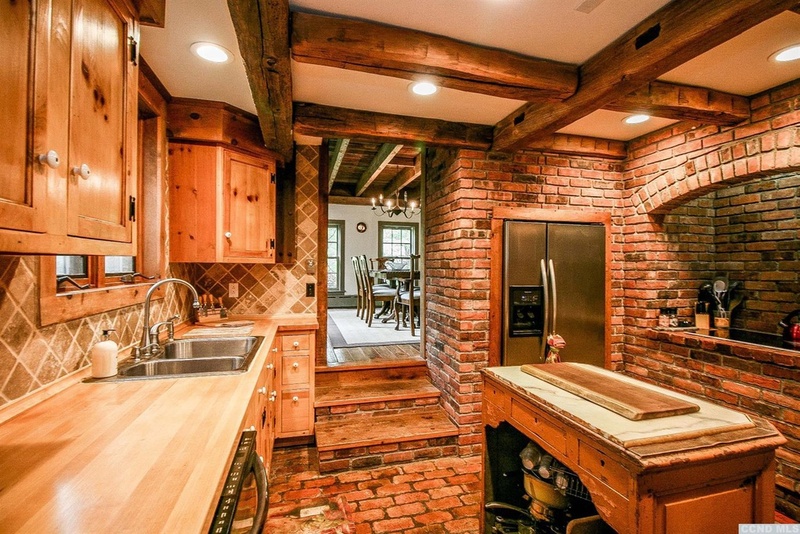 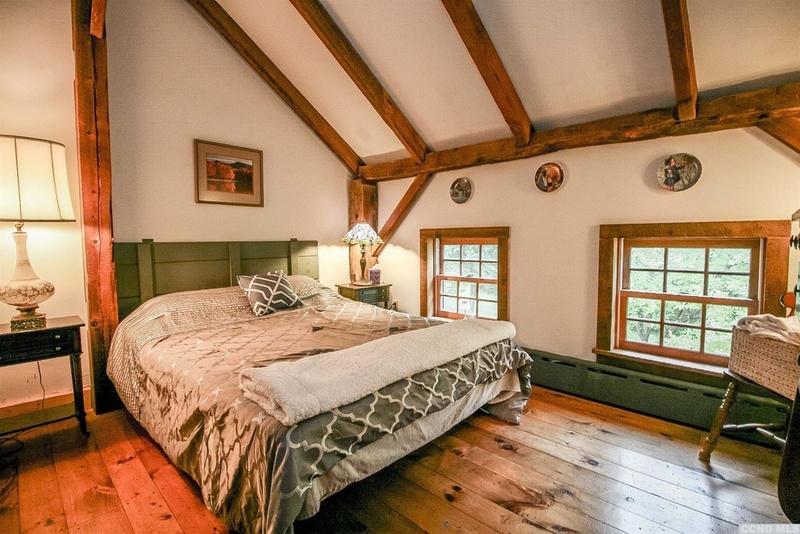 And, during the rebuild, the previous owner filled this barn with 1700s Delft tile on one fireplace, the original Adams mantle on the other, 100-year-old brick flooring, and 17th-century paneling. 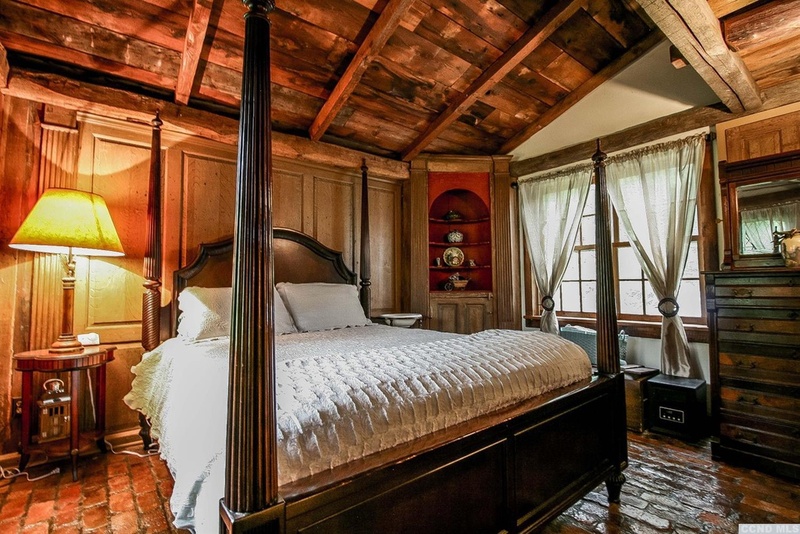 Includes six bedrooms, four baths, and efficiency upgrades like solar panels, fiber-optic high-speed internet , Smart Home technology security system, and locks and heat controllable from your phone. 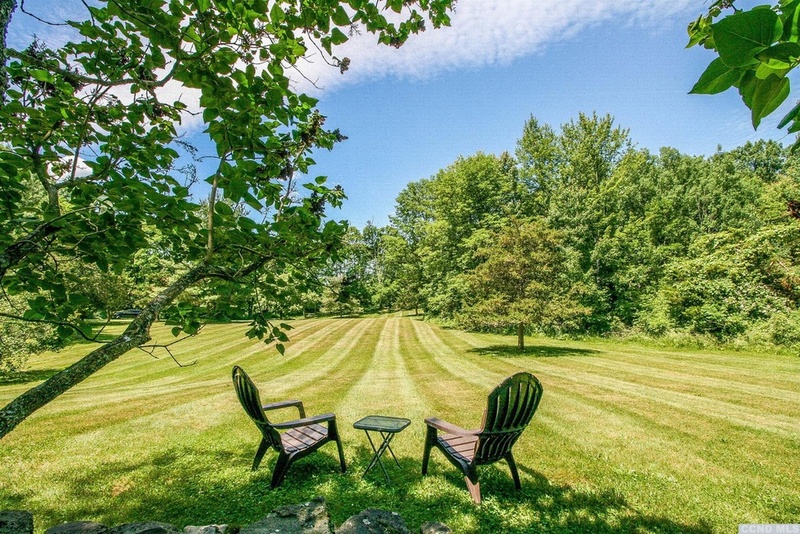 Meanwhile, when you’re not wandering around this house, ogling every detail slack-jawed, step outside to luxuriate in your meticulously-landscaped yard with rolling lawns, spring-fed pond, and irrigated gardens. 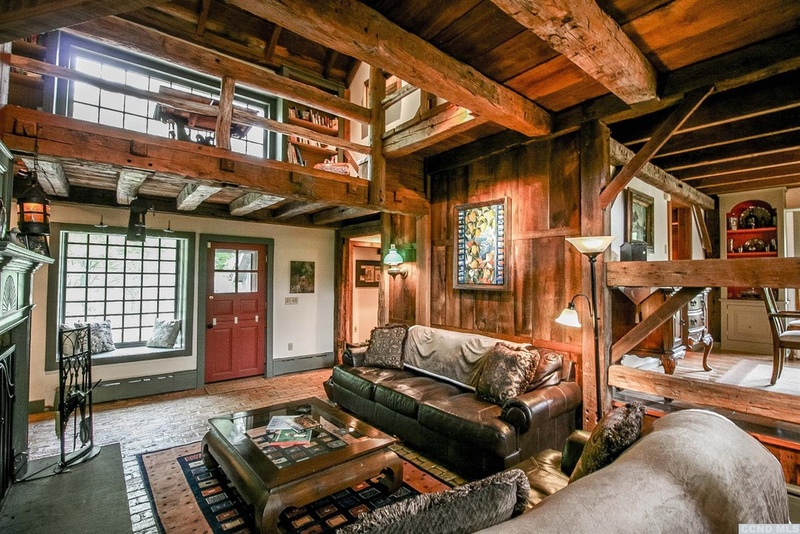 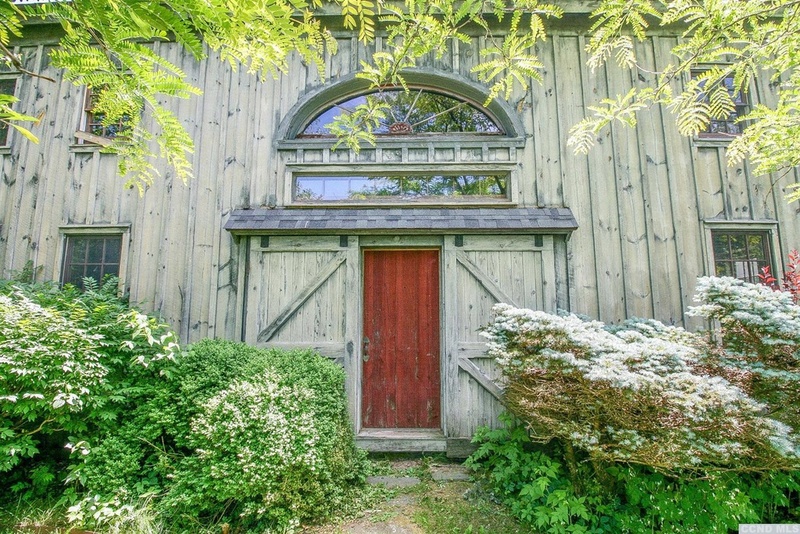 There is literally nothing we don’t love about this vintage barn. 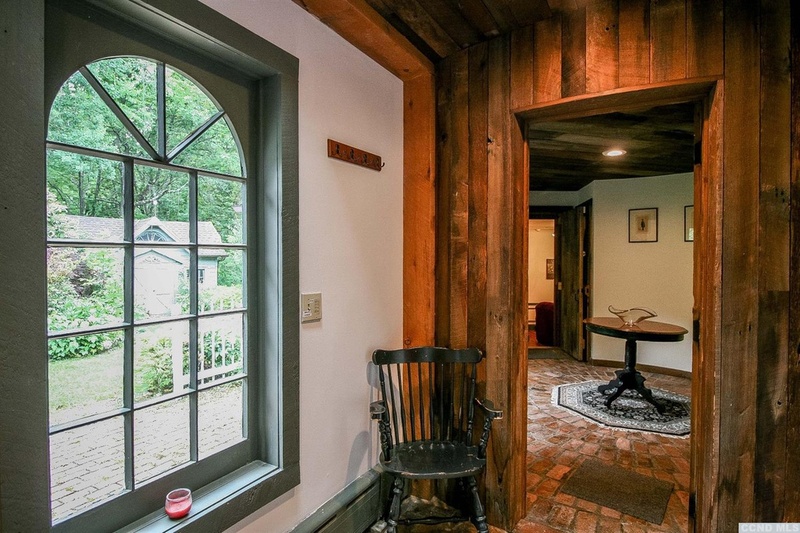 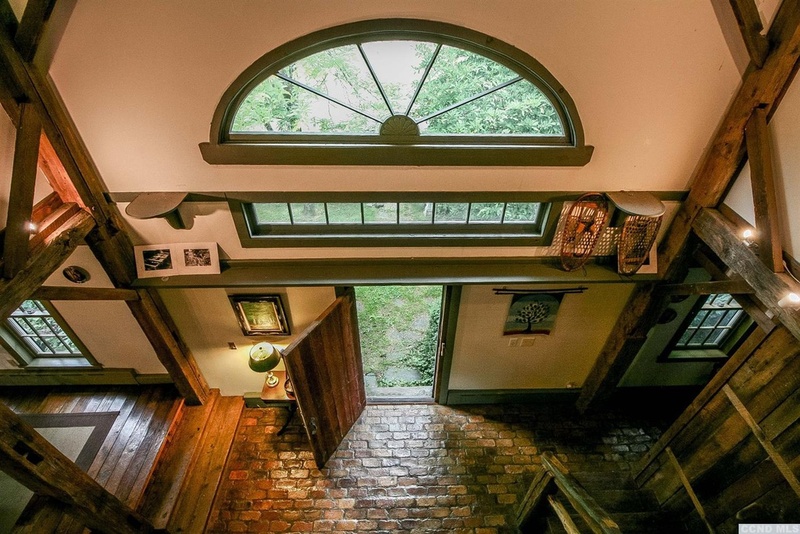 If you’re looking for more vintage and historic properties in the Hudson Valley and Catskills, take a look at this one, this one, and this one, and stay tuned for more this week on Upstater! 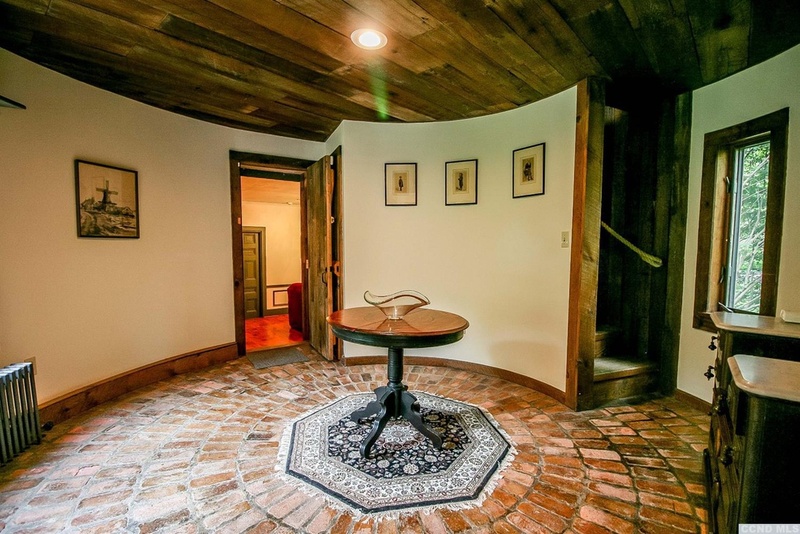 Need to see all the details of this Columbia County vintage barn? 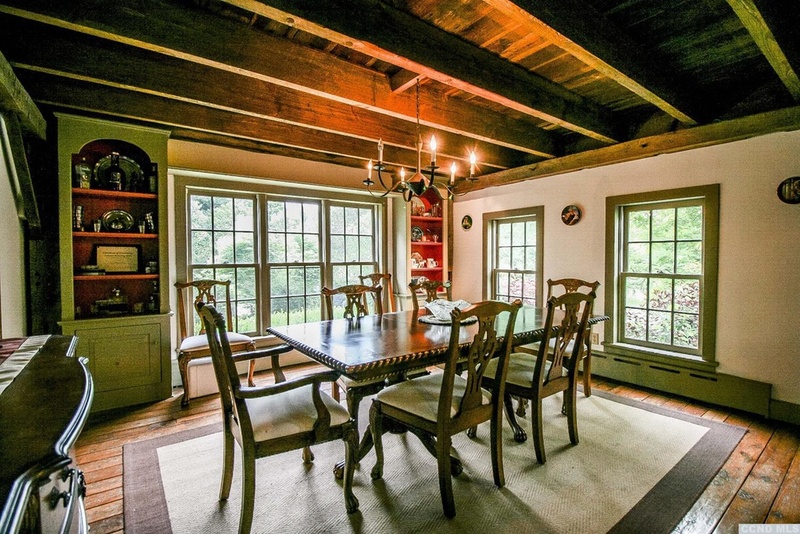 Find out more about 455 Post Hill Road, Craryville here.